You are currently browsing the category archive for the ‘paper’ category. 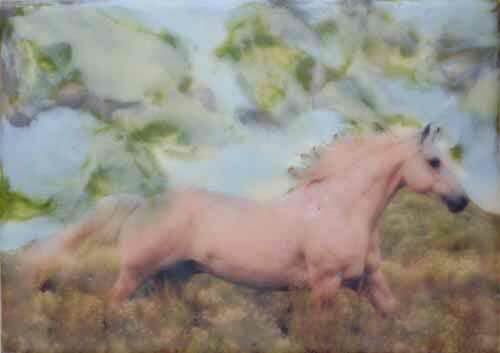 This photograph by Lara Blair was already a beauty, but when she cut out the horse and made her own sky with the encaustic paint the movement was highlighted dramatically. As a great example of the sculptural properties of the wax, the mane of the horse is raised slightly, giving the painting more dimension. 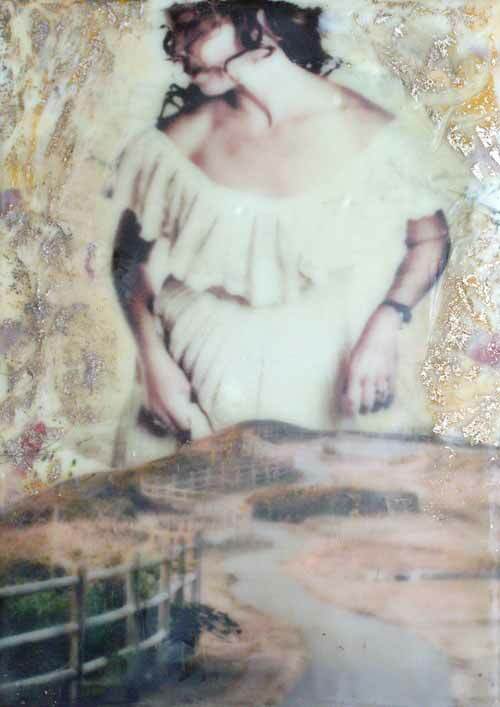 This collage, also by Lara Blair, is a combination of photographs on different weights of paper and some faux gold leaf around the top edges. 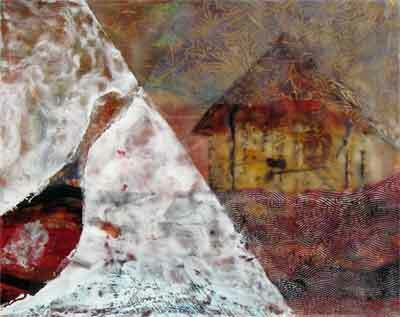 The work above is by Sandra Nykerk who traveled all the way from Gardiner Montana for this class. 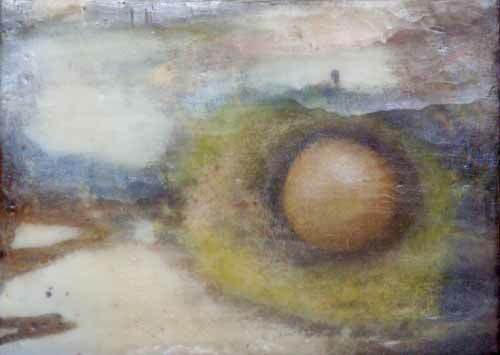 This image of a rock within a rock was printed on tissue paper then highlighted with pastels. 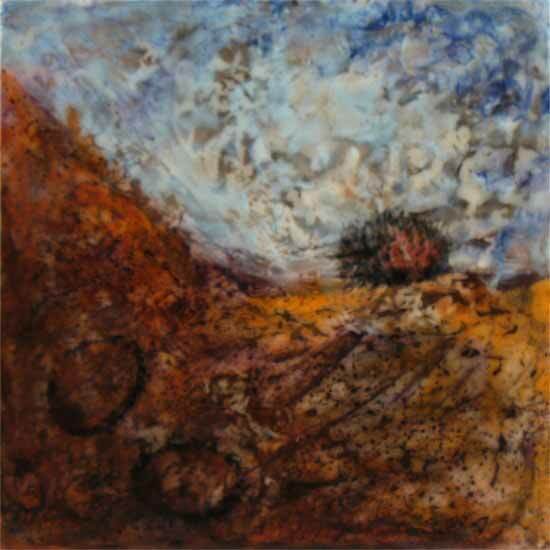 It’s a shame how hard it is to photograph encaustic, and I didn’t do this piece justice. It’s so luminous! This work is by Maro Vandorou. She rarely works with color so the image above is an exception and the one below is more similar to the rest of her work. 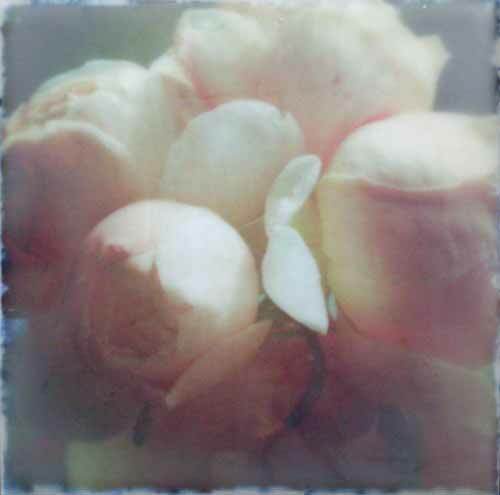 In the photo of the roses, we poured the wax over the surface of the photograph instead of painting on layers of wax. That gives the image a dreamy feel and a perfectly smooth surface that is very enticing. 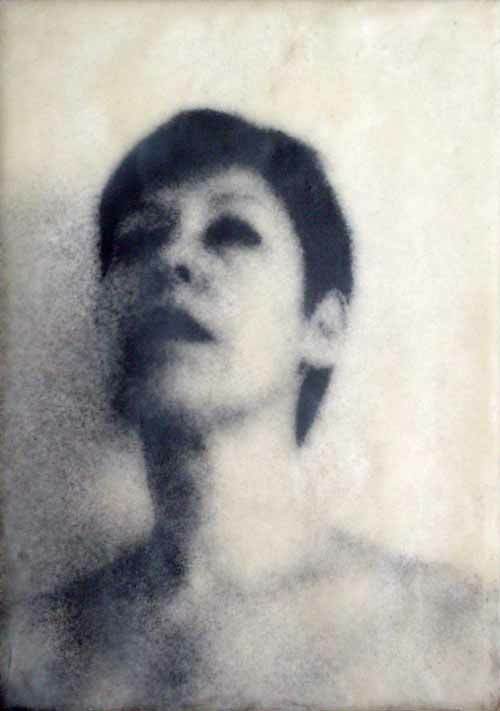 Maro’s self portrait was made on tissue paper and adhered to a board with wax, letting much of the clear medium show through. 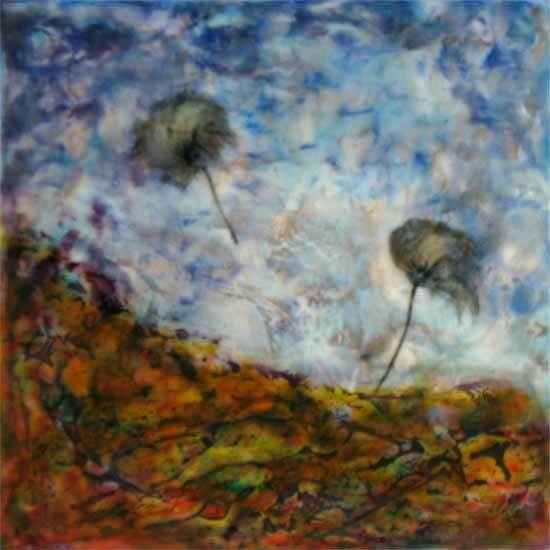 If you’d like to join me for an Encaustic & Photography class, check the schedule online anytime at http://www.embracingencaustic.com/workshops/. If you can’t get to Oregon to see me I’ll come to your studio via my online classes. Check them out at http://www.womackworkshops.com. 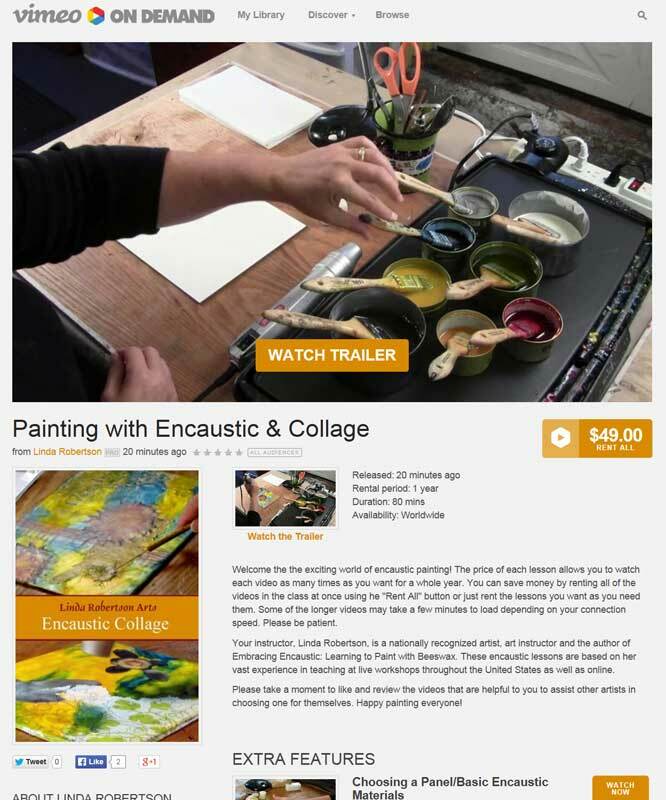 Encaustic Painting Retreat in Carmel, Calif. 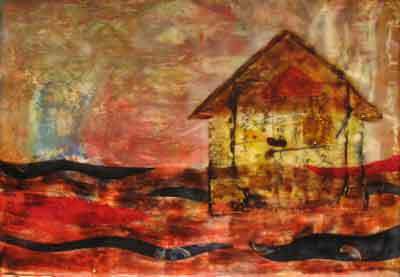 Tomorrow morning I leave for the International Encaustic Artists retreat in Carmel, California. 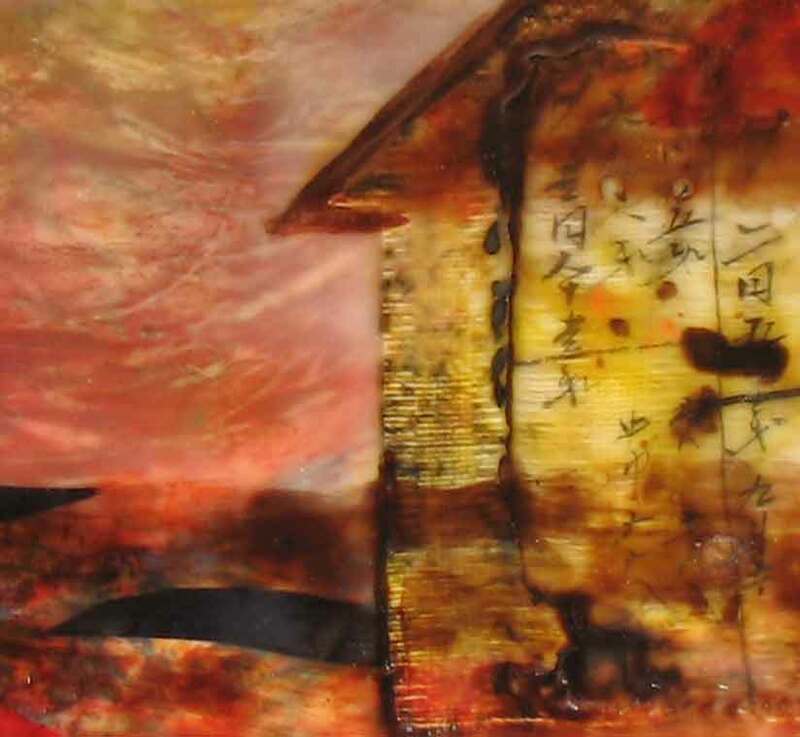 It will be a weekend filled with learning new techniques and meeting other artists who have a passion for encaustic painting. I’m very excited! I’ve only been a part of this group for a short time, but they have been extremely welcoming and inclusive and I can’t wait to meet them in person. I haven’t figured out what to call them yet, so if you have any suggestions please let me know! 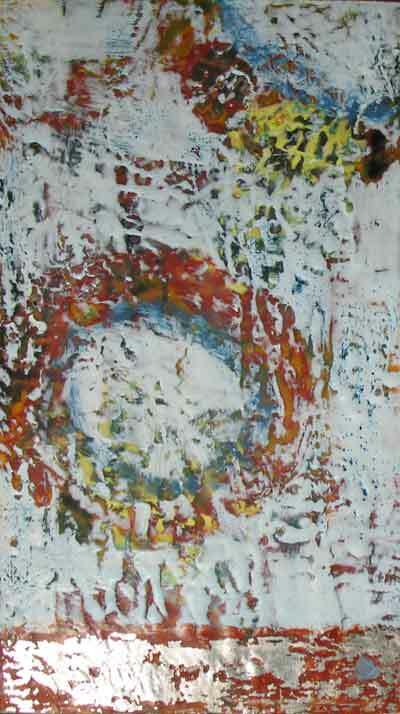 I’m working on the theme of time passing and how things evolve. These little 8″ x 8″ works will likely end up being sketches that will be used to make much larger final pieces. Attending the retreat will also give me a chance to attend the opening night of “Off the Grid: New Directions in Wax” at the Lauryn Taylor Gallery. My work was accepted into the show, also in Carmel, and it will be exciting to see the variety of work they’ll have. I’ll post photos and information about the weekend when I get back! View the rest of my posts about the retreat. Remember the sketch i posted last week? Well, it’s finally done. I thought it would be fun to see the sketch and the final piece side by side. I’d love to hear your comments. This is a very new style for me. With the first sketch, with just the house and water, it came to me in a dream. I dreamed of it several times actually, but there was always a bird there too. The bird isn’t in the first sketch because there was something about it I still didn’t understand. I knew the bird was supposed to be doing something – some sort of action – but I knew it wasn’t just flying. Later that week a friend who had been sick for a long time passed away. When I started working on this piece again I saw the bird as a representation of my friend, moving from one plane to another. It’s hard to see in this photograph, but the bird turns into a breeze of gold and blue in the darker plane. I don’t know that I’ve ever made a painting based on a dream before. It doesn’t look like anything else I’ve made, but it seems like this was the only way it could be completed. I feel like I got it right. To view more sketches look here. I’m taking an encaustic painting class at PNCA with Jef Gunn and am really enjoying it! 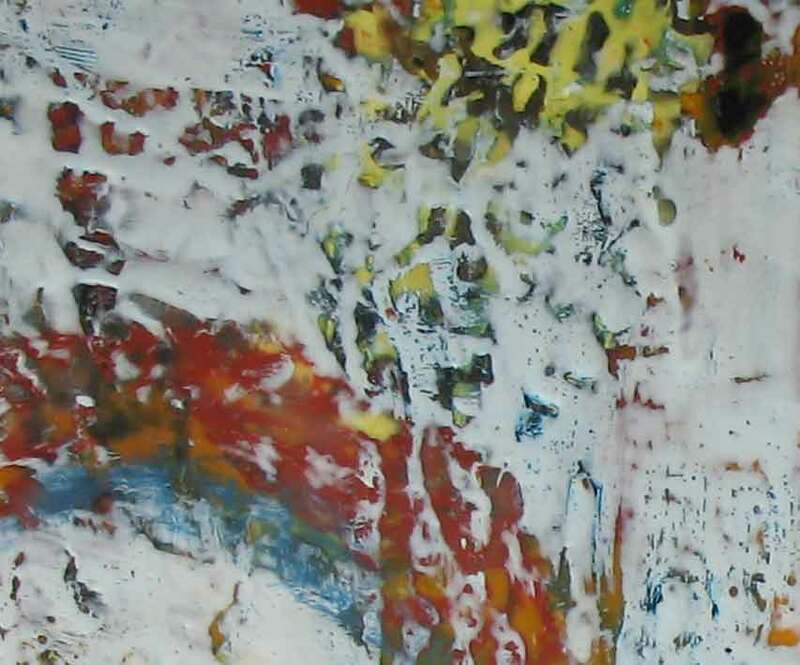 I’ve been working in this medium for a few years now and teach encaustic workshops myself, so I already know most of the techniques he teaches, but every time I work with another artist, in any medium, I learn something new. That’s why I don’t think I’ll ever stop taking classes. I’ll post my sketches from class here, so you can see how things evolve. The first piece is the beginning of a sketch for another painting. I posted it unfinished because I think you’ll be shocked at what it looks like when it’s finally done. You’ll still be able to make out many of the forms but it will be very different. Stay tuned! The second piece below is from an exercise we did using texture, and as you can see from the detail below, I really got into it. I love to scrape that wax! Click either image above for a larger detail. In the detail of the house you’ll be able to see that its made up of material, wax, pigment and paper. The paper is a Japanese receipt book from 1903!